In the National Hockey League (NHL) rivalries are common, specially in the league or Stanley Cup playoff matches, and can sometimes be characterized by fights, both on and off the field. In any sport, team rivalry is among the selling points of any game, with spectators and fans anticipating these clashes and with major broadcasters showing the action. Nowadays it’s common to find hockey betting markets on major betting sites. This development has helped increase sports awareness with a larger audience, making the rivalries even more interesting and entertaining to watch. We are going to look at some of the famous rivalries in the West Coast of the Western Conference, as refereed to in the NHL. With these two teams being among some of the best team in the Western Conference, this rivalry has continued to flourish in the recent past, and has seen the level of competition between the two teams increase. The teams have faced each other in 12 playoffs since 1974, Chicago having won eight of these games. 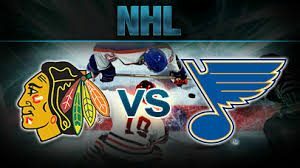 Three time Stanley Cup winners since 2010, the Blackhawk performance has started to drop recently, with the team adopting a cost-cutting strategy, while the Blues performance is encouraging, having beaten some of the leagues top sides. The Ducks made their first NHL appearance in the 1993-94 season, and since their first game a rivalry between them and the Kings has erupted. With the two sides becoming more dominant in the Western Conference, this rivalry has intensified to greater heights. The two teams have only played one playoff, which was a second round contest in 2014 won by the Kings. Their rivalry may be as a result of the close proximity between the teams, since they are based in the Los Angeles area. The Ducks were also the first Californian team to win the Stanley Cup in 2007.